The Atari 2600, released in September 1977, is the most famous home video games console from the second generation (arguably the best console ever released). 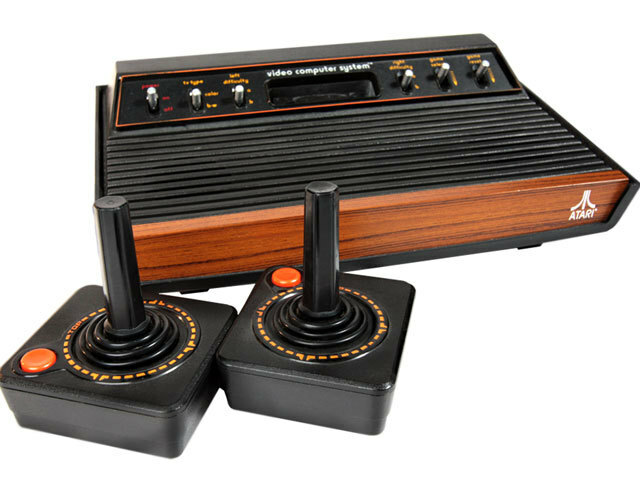 Every person, who knows at least something about the video gaming history, knows the Atari 2600 console. Even if the Fairchild Channel F console was the first to use microprocessor-based hardware and ROM cartridges, Atari was the first to popularize it (and helped the video gaming to survive the crash). 2600 was the first of second generation consoles from Atari, so far they had only released a bunch of dedicated consoles (Pong-type machines) and some Arcade Coin-Op Machines. Atari was also one of few home console producers to survive the 1977 video gaming crash! The game library for the console was huge, biggest we had seen in video gaming history so far – total number of games should be 519 (correct me if I am wrong). In my next post I will write about the best games released in 1977 (from the 9 launch titles of Atari 2600) and come back to other games year by year!